There is increasing evidence that the constructed veil between humanity and reality is dissipating. Much like settled science now confirming cosmic realities long known to consciously awake and aware humans such as the center of our galaxy being an energetic source intensely affecting ourselves and our planet, revelations of truth continue to pour into our collective awareness. The fact that we’re in the midst of a rare alignment with the galactic center as well as passing through other charged fields has profound implications. But the manifestations of this massive shift in consciousness are busting out all over. Quantum physics revelations, new archeological finds continuing to be discovered, all while previously unavailable documents and information are surfacing at an unprecedented, exponential speed. Most of all, people are finding their passion as a result of this explosion and availability of information and communication, and are having major life changes as a result, deciding to drop out of the matrix and dedicate their lives to being, as well as bringing about, the change we need to see in the world. The awakening springs forth – and nothing can stop it! This is a continual phenomenon to definitely track. You’ll see it more and more as the very language and terminology of the so-called alternative and truth community is seeping into and out of the mainstream information outlets, as well as the burgeoning social media exchange network. It can’t help but happen. As the awakening keeps escalating it’s simply a matter of fact as truth passes through the collective consciousness and leaks into communications at every level, allowing people to build on new levels of awareness and thus keep transforming. So much can be told by language shifts. Both what’s being used more frequently in general as well as substantial new additions, and deletions, to the lexicon. This goes two ways. The controllers keep shifting their language and euphemisms to blanket their intentions, while the awakening community grabs hold of and proliferates empowering and revealing words and concepts that grow in usage at an astounding and truly inspiring rate. This is a powerful manifestation of the awakening. Just look how easily and readily words like the matrix, the Illuminati, social engineering, transhumanism, zionism and the holohoax, freemasonry, synchronicity, psychopathy, cognitive dissonance, geoengineering, false flags, predictive programming and big brother surveillance are being used now. These were considered side line or taboo issues discussed by whack jobs not long ago. Now? They’re mainstays of conversation that bleed more and more into the mainstream dialogue. That speaks volumes as to the effect the onslaught of true information is having. And something to be very encouraged and inspired about. This concept was once thought to be way out there and sci-fi sounding, but now has scientific merit, for what that’s worth, but that does bring it into the mass consciousness, which brings a willingness to consider and perhaps grasp such mind expanding ideas. Quantum mechanics, though firmly tested, is so weird and anti-intuitive that famed physicist Richard Feynman once remarked “I think I can safely say that nobody understands quantum mechanics”. Attempts to explain some of the bizarre consequences of quantum theory have led to some mind-bending ideas, such as the Copenhagen interpretation and the many-worlds interpretation. The Mandela Effect is a theory of parallel universes, based on the idea that large groups of people have similar alternative memories about past events. Advocates of the theory claim that for these collective experiences to be true, the fabric of reality must have shifted at some point in the past, and that therefore not only do parallel, inhabitable universes exist, but we are constantly switching between them. This goes on to say that there are many shared “mis”memories of this sort that lead people to believe that again different timelines or dimensions are involved, which blows our current “mind” set to oblivion as to what the nature of reality really is. There are many such examples, but suffice it to say we’re living in awakening times and what was once considered way out there is now under serious consideration. That in itself blows the old paradigms to bits. There’s an amazing metaphor for this matrix we’re living in, brought to us by, yes, Pixar. I was personally shocked when I saw this animation, at its appropriate story line and ingenious portrayal of characters, and it's a revealing film I’d suggest seeing. The atmosphere is quite cleverly oppressive and all think it’s well within their confines, when in fact, as you will find out, the heroine of this tale is the cast-off and exiled previous benign leader of this domain, renamed Glitch after her fall, who herself had forgotten her previous role in this digitized world ominously called “Sugar Rush”. And guess what? 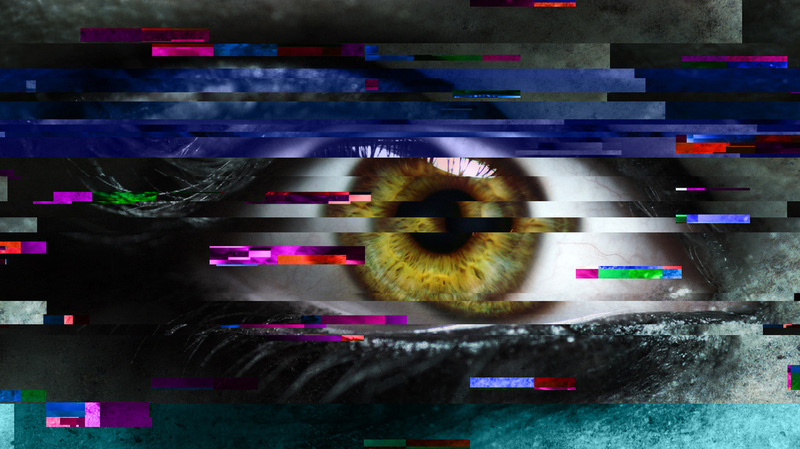 Glitch is soon restored to her rightful place – but not without a fight. When all is said and done it’s about the human spirit. Our attitude, our fortitude, our spirit and our decisions. This is clearly a testing ground for each of us. The challenges we face are formidable, but not insurmountable. Indeed we are faced with a very real matrix of deceit that takes many forms. Whatever they are, this is the enemy to be identified, exposed and dealt with. If an animation can make this as plain as the noses on our faces, why can’t we see it for ourselves? Well, one reason is because of these truths being aired and let out through fiction so we don’t do anything in reality. That’s the big drawback of this kind of psychic release valve. However, if we see it for what it is it can actually be a help and inspiration. The challenge is to first get out from the programming and slumber mode most of the world has been enticed into. Once we do that and things become clear, then it’s time to act. Every awake and activated soul on this planet is a glitch in the matrix. In fact, every deed of unselfish love, every utterance of truth, every kind deed, tears at the very fabric of this foisted lie that engulfs us. This is why they have to constantly inject fear into everything they do or say, that or very base level behaviors without any conscious awareness of consideration for others. That’s how they play. We don’t do that. That’s what is bringing their walls down and causing massive leaks in their intolerable matrix. It cannot stand nor survive in an atmosphere of truth and love. Keep turning it on, and up – the curtains are coming down!